Every time I write a column about immigration I’ll get the email or phone call du jour telling me about how their grandmother came to this country with only the clothes on her back, learned English, got a job and never asked for anything. These messages multiply when I write about language in the context of immigration. So I’ll ask, politely, did your grandmother speak English with an accent? Where did she learn English? How long did it take her? Did she speak English at home and with her family? Were there newspapers published in her native language? Did she read them? These are all relevant questions because today’s immigrant experience is no different than the experience of immigrants two or three generations ago. My father is an immigrant, fluent in English and speaks it with a wonderful accent (he learned it among the polish community in Chicago in the 1950’s, so I’ve heard him let a “crap!” fly, which is hilarious). A little known fact is that the first bi-lingual school in San Antonio, back in the early 19th century, was German-English. There is no doubt that English is the de facto official language in the United States. No one can get ahead in this country, in education, business or professionally, without being literate and fluent in English. Punto. In my travels across the Southwestern United States I consistently come across churches, schools and community centers with waiting lists of people wanting to learn English. 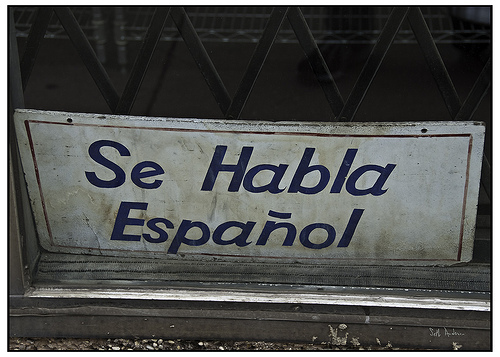 Linguists tell us that an immigrant community will lose the use of it’s mother tongue in two generations. 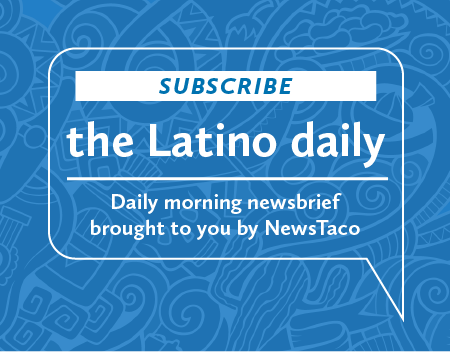 Sara Inés Calderón has written about the need to speak Spanish as a requisite to being a “real” Latino. This is not a debate that’s close to being settled. They argue that the congressional bill, sponsored by Iowa Republican Rep. Steve King and Oklahoma Republican Sen. Jim Inhofe, would disenfranchise many people who are not yet fluent in English through its requirement that all government business be conducted in only English. It requires that all government services and literature be provided only in English, except in cases of health or national emergencies. It requires workplaces, both in the private and public sector, to abide by U.S. laws governing language. It allows people to sue in federal court where the language laws are not followed. At last count there were 30 states in the country that have enacted Official English laws.